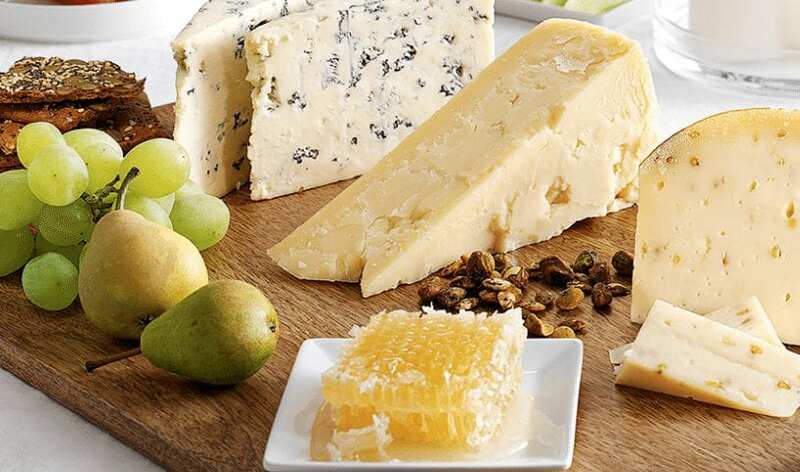 Honey & Cheese…it’s just one of those matches made in heaven! This is a simple and creative way to bring your culinary prowess to the table. Here’s a few hints, then…run with it! A Board! It’s a good idea to have a beautiful piece of wood stashed away exactly for this purpose. Cheeses! Pick a variety of options and think outside the box! Go to your favorite cheese counter and ask them questions. Choose 3-5 radical options, and try something new every time! Honeys! Comb Honey is a classic choice for your board. For the full experience, we suggest offering a few varietals, perhaps Coriander or Mesquite. Charcuterie! Nothing like some thinly sliced aged salami to spice up your board. Salty Snacks! Think nuts, olives, even small chunks of chocolate! Bread or Crackers! Choose wisely, the propper cracker can make all the difference. Fresh Fruit! Sometimes the refreshing juice from a grape, strawberry, or blood orange is the perfect palette cleanser. • Have fun with the presentation, and make it look nice!